It’s officially summertime and my love for Kohl’s just got hotter! With the warmer weather kicking in, my fitness regiments are changing to outdoors while my morning superfood smoothies are going on the road with me. This summer I’m traveling all over this beautiful world but I promised myself that every morning, even on vacation, I will workout and eat better. Healthy living starts at Kohl’s and I’m going to give you a preview of how I will start living a healthy summer all season long. I believe that food prep is the best way to eat well. It allows you to take your time and organize your food for the week so if ever you’re rushing one day, you always know that you have a healthy on to go meal to grab from the fridge. When I prep the night before, I like to store my food in Pyrex glassware. Pyrex dishes are my go to because; 1. Pyrex dishes colorful lids help me color coordinate my foods. 2. The diifferent shapes Pyrex containers allows me to organize different portions of foods, which I love! 3. Pyrex dishes have super secure lids that keeps my food fresher longer. Here I am organizing my frozen fruits. With Pyrex I can put just the right amount of fruit and vegetable to give me that tasty smoothie boost in the morning. Thanks to #Kohls my food prep is ready to go all summer long. Smoothies are my go to for an early morning boost before my workouts. One of my favorite blenders at Kohl’s is the Nutribullet and yes, I travel with it everywhere I go. 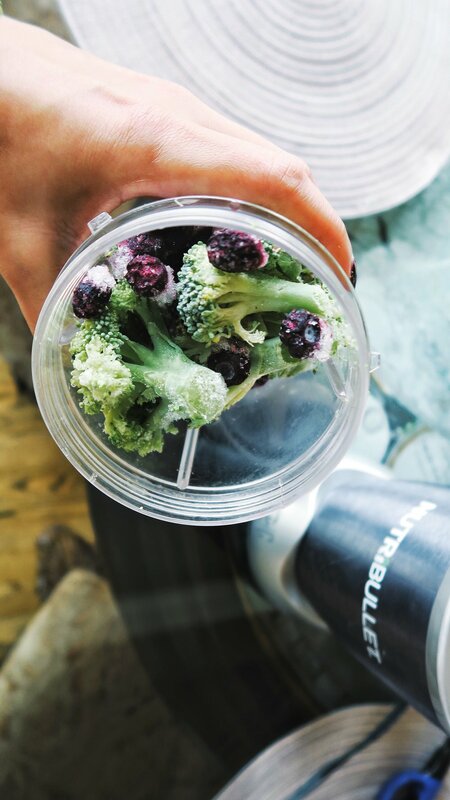 The Nutribullet is a simple and easy blender that always blends my favorite fruits and vegetables to a great consistency. It’s important to jumpstart your mornings with a healthy breakfast, remember, breakfast is the most important meal of the day. Live better, eat better with Kohl’s. On top of using the Nutribullet, when I have friends on vacation with me or have some extra time I love grabbing my Hamilton Beach spiralizer to add a cute healthy, topping to our smoothies. Here I spiralized an apple and it’s just a fun and easy way to add more fruit or veggies to your diet. Plus, the Hamilton Beach spiralizer makes everything look pretty. It’s time to sweat! I like to amp up my summer workouts with a mix of yoga and strength building and thanks t Kohl’s, I’m sweating my morning in Nike gear. Nike makes great sports bra that have the perfect fit for comfort and hold and the Women's Nike Bra, Victory Compression Monolith Medium-Impact Sports Bra, is one of my favorites. Regardless if I’m practicing yoga or doing squats my chest is always stabilized and relaxed. On top of that, I love the dri-fit moisture technology that helps me stay dry and comfortable. Next, I throw on some matching Nike tights and get a solid 45 minute workout in. I can always count on Kohl’s for great, stylish workout gear.